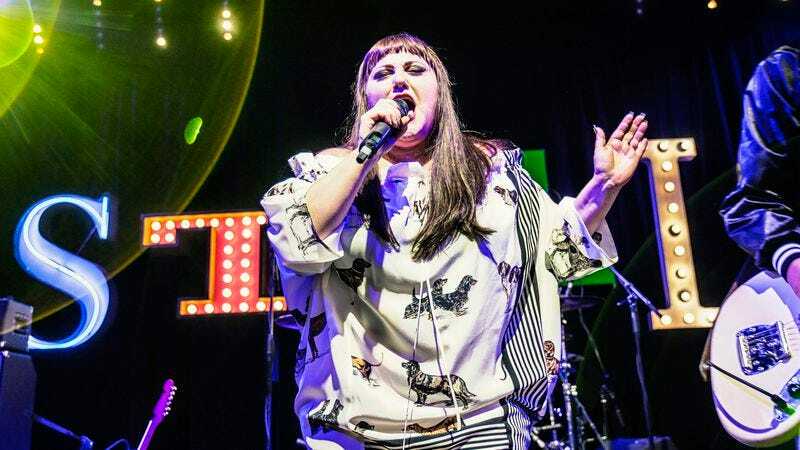 After 17 years as the charismatic, golden-throated frontwoman of indie rock darlings the Gossip, Beth Ditto is ready to break out on her own. Ditto has announced her first album, Fake Sugar, which is due out on Virgin Records on June 16. Described as a fusion between Ditto’s punk inclinations and the “pop flare” of producer Jennifer Decilveo, the album goes up for pre-orders tomorrow. In the meantime, you can listen to the first single off Ditto’s new album, “Fire,” available right here. If that’s not enough, you can see Fake Sugar’s full track list below.